Its a bird, its a plane…wait, it actually is a bird! Maybe not the conventional kind of bird thats a winged animal, but a bird nonetheless. These black, electric scooters have recently taken over Santa Monica, Venice, and other parts of Los Angeles by storm. They scatter the streets as commonly as bicycles or skateboards, and can be seen transporting any kind of passenger, from a suit-clad businessman to a young teenage couple. 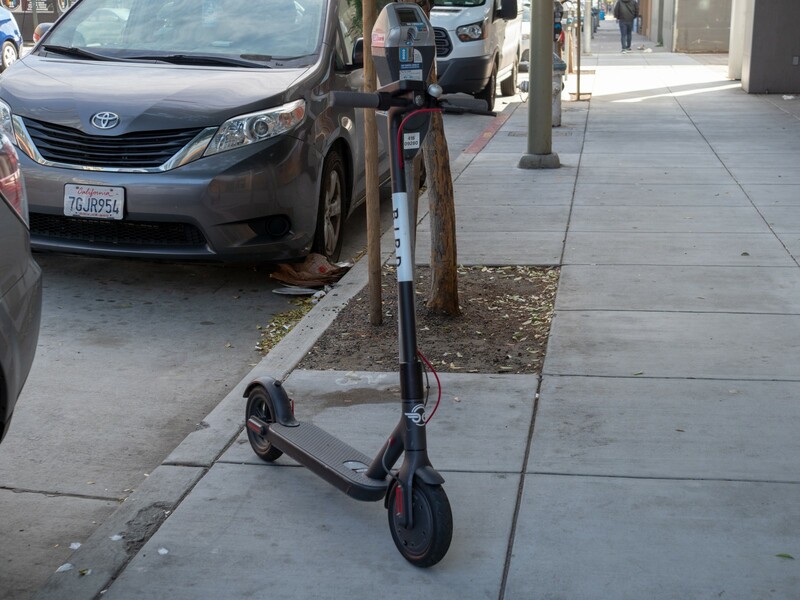 People all over the Los Angeles area rely on Birds to take them short distances that are a little too long to walk, but don’t need to be driven. Birds are relatively fast, able to go up to 15 mph, and are much easier to handle than heavy, large bikes. The best part? They cost 15 cents a minute, you can pick them up wherever you find them, and you can drop them wherever when you’re done. If you do choose to Bird, there is a user agreement that must be read and signed before you begin. This covers all legalities and rules, but here are the basics that you need to know. First of all, you must be at least 18 years of age and know how to properly operate a vehicle. They also make it very clear when you sign the user agreement that once you unlock your Bird with the app, you are responsible for all injuries. You are also agreeing that you will wear a helmet and stay in designated Bird-riding areas, which are usually bike lanes. However, keep in mind that some people get frustrated with Birds the same way they would with a biker that is in their way. If you do your best to stay out of the way of cars and other pedestrians, and it’ll be easier to simply have a good time while riding. Santa Monica is an ideal destination for Birding, thanks to the extensive shopping and eating options. Birds will take you up to 15 miles per trip, so your range of opportunity is wide. Santa Monica is known for its incredible selection of restaurants, stores, and entertainment, and with a Bird, you can experience it all. For instance, a perfect Santa Monica night might begin with Birding around 3rd Street Promenade, checking out stores and street performers. Once you tire of that, Bird a few blocks over to the pier to watch the sun set over the water. Santa Monica sunsets are not a view you want to miss. And remember, you can drop and lock your Bird anytime you want to walk around instead of ride! Its incredibly easy to find another one once you want to ride again. After all this Birding, you’ll likely have worked up an appetite. Hop on another scooter and head over to Spumoni’s Santa Monica location, only about a 10 min ride from Santa Monica Pier. Spumoni is an authentic Italian cuisine, and ideal destination for either date nights, family dinners, or a casual pizza pick-up. If you’re up for a night of fast-paced fun and delicious food in a beautiful place, just grab a Bird and go!